School will be closed from 11-11-2015 to 18-11-2015 on the auspicious occasion of Diwali & Chhath. It will reopen on 19/11/2015 (Thursday) as per the schedule. Vacancy- For Office Assistant and Primary teachers (Female), No. of Post-3, eligibility-B.A./B.Sc. with good communication skill. Pay your School & Bus Fee upto 10th of every month to avoid late fine. After two Months Student will be treated as drop-out and Rs. 200/- will be charged as Re-admission Fee. Mayur School has a good education system. The approach to teach things is really great. And my child is in the first stage (Play group) of her school. She never wants to miss school. 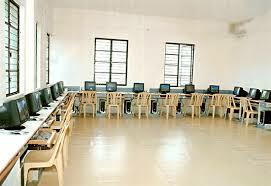 Mayur school is like a revolution in the field of education. Mayur school aims at making students who care for the whole world. It makes children good inquirers. Mayur School try to learn many things which make them knowledgeable. They want to explore new things around them. Students learn to become open-minded. For me Mayur school means complete education with international standards. Mayur school aims at educating the child in different fields like academics, personality development, social and moral development, sports and cultural activities. I really admire the building up of learner profile. These qualities will make the children confident and above all good human beings. Mayur School provides high quality education helping the child to make a better world. The excellence of the Mayur School is not only in wholesome education of a child, but also remains committed to the professional development of the staff. The Mayur school helps a child to develop intellectual personal, emotional and social skills to live, learn and more in today’s competitive world with global mindedness. Mayur School offers high quality education. It develops like mindedness among children and a positive attitude towards learning. Children are encouraged to understand their cultural and national identity. The Mayur School helps develop a very positive attitude for learning by allowing students to remain inquisitive. Community service is encouraged to make children good global citizens. Mayur School also fosters recognition and development of universal human values. The curriculum offers diversity and flexibility in teaching methods. Practical education is given equal importance.